Replace the boring bats with colorful butterflies gathering nectar. 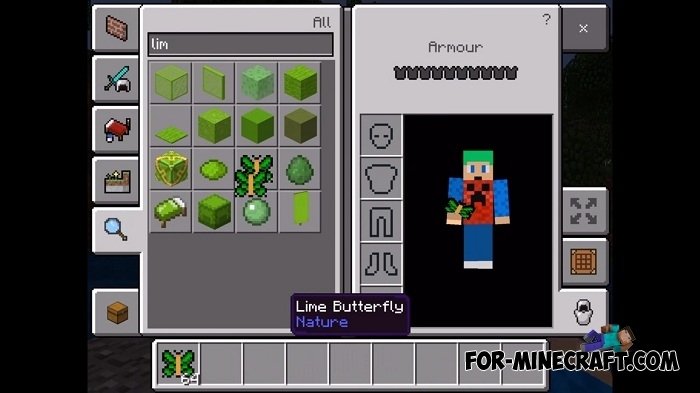 Butterfly Pack contains 11 butterflies of different colors that appear only in caves, which causes some inconvenience. 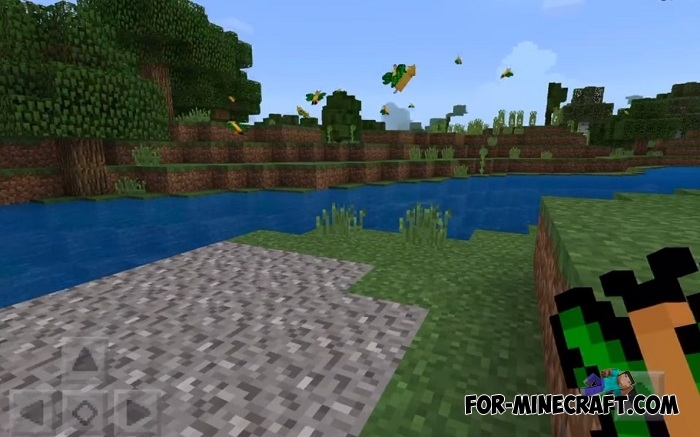 Either way, the butterflies look amazing in summer biomes on lawns, especially if you have already installed realistic shaders for Minecraft PE paying great attention to nature. A very interesting application is the construction of butterfly terrariums that can be filled with butterflies. The flight trajectory of bats and butterflies is completely different, but it is not so noticeable. A dead butterfly throws out elytras like butterfly wings. How to install Butterfly Pack?